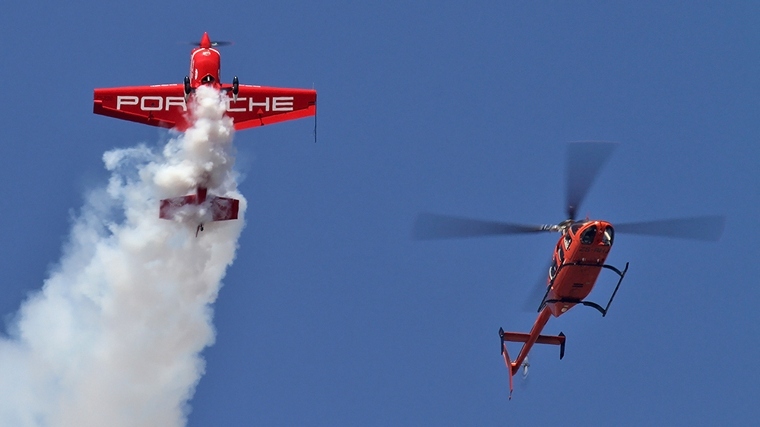 The Northern Kwazulu Natal town of Newcastle hosted a very successful airshow on the Saturday 3 June; the town that nestles in the foothills of the Drakensberg was shaken by the sound of aircraft of all types. 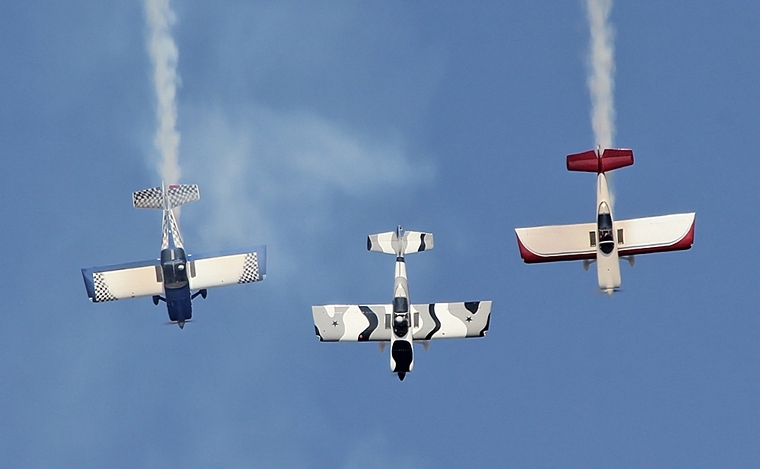 Johan Pieters and his team once again outdid themselves managing a spectacle that any airfield would be proud of. The public may have been disappointed when they first arrived and were greeted by a 6 foot fence, which had to be erected as a security measure as part of the upgrades to the airport, but that was soon forgotten when the show started and it became clear that the displays were all visible above the fence. 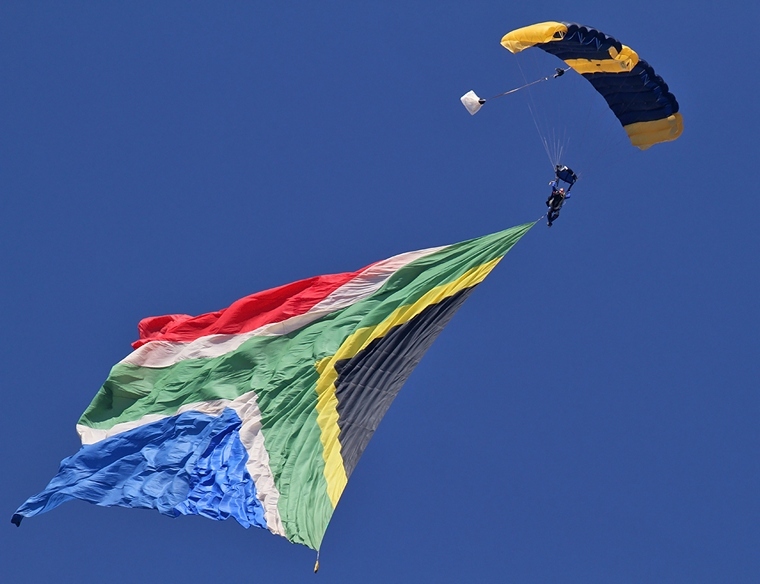 Anushka, the beautiful Antanov AN2, kicked of proceedings with a mass skydiving drop one of which was the massive SA Flag. The flag weighs 83kg and can only be carried by a qualified tandem instructor. The skydivers had barely touched down when the perfect blue skies were filled with smoke trails from the stunning all South African Slick 540 expertly flown by Neville Ferreira. 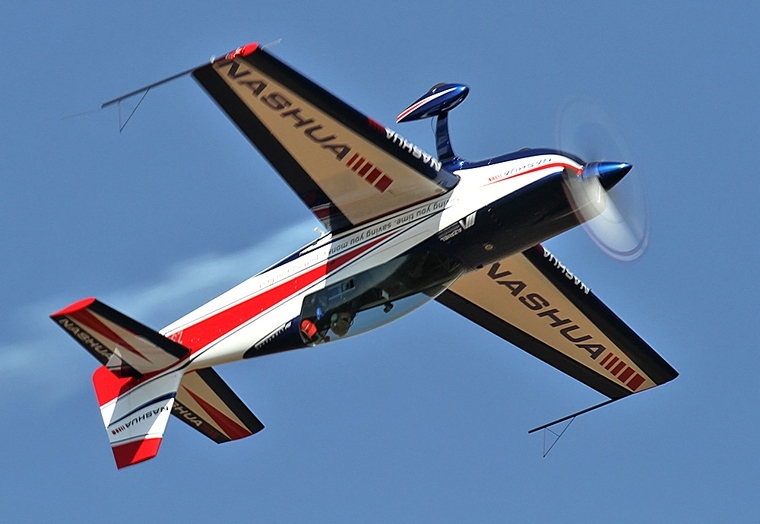 Neville's hi impact aerobatics are fast becoming a favourite at airshows in South Africa. 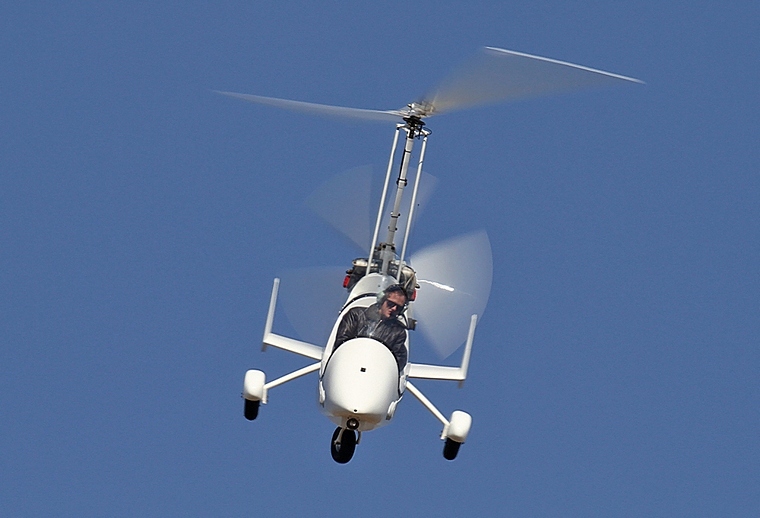 Matthew Zalewski wowed the ever-growing crowd with his skill in a Magni Gyro. This particular Gyro belongs to Andre van Zyl. The Magni Gyro is probably the most popular Gyro in South Africa and hails from Italy. After many years of banter between Nigel Hopkins and Menno Parsons the two of them decided to do a formation hover, the only snag is that Nigel wasn't in a helicopter he was flying his Extra 330 SC. His ability in this wonderful aircraft never fails to amaze the airshow faithful. Menno joined him in a very bright orange Bell 407. Nigel then continued his solo display which had the crowd holding their collective breath as he tumbled effortlessly through the KZN skies. 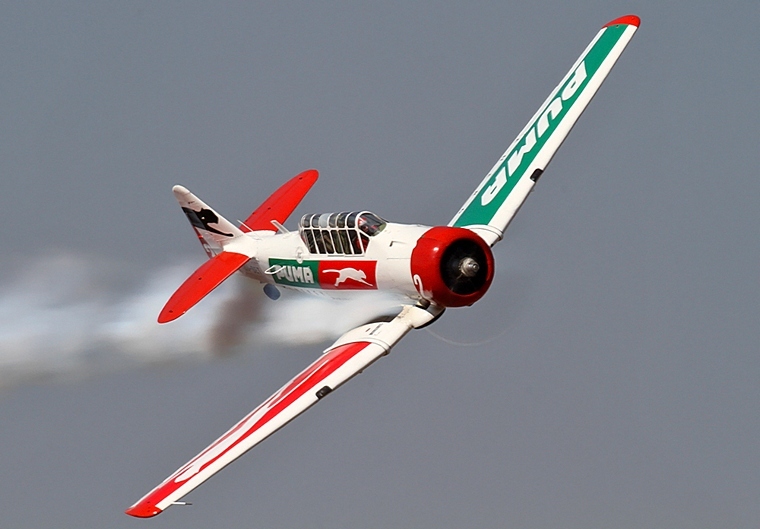 Nigel will be representing South Africa in the World Aerobatic Championships later this year that will be held in Mpumalanga. 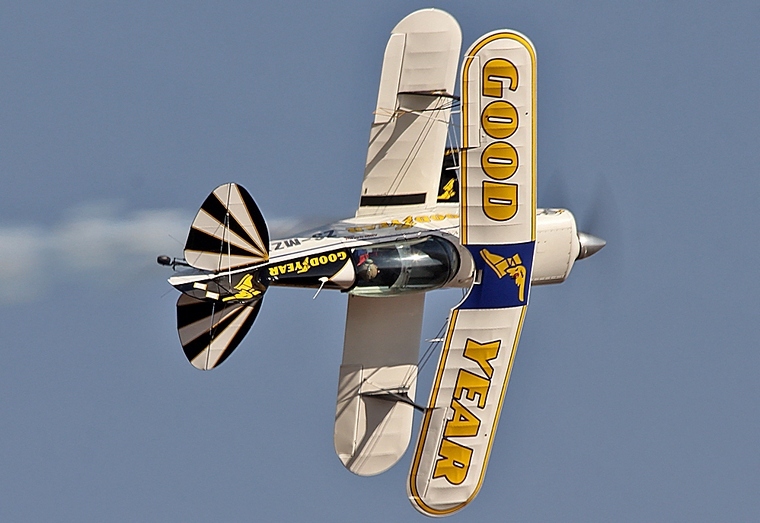 Dennis Spence, Johan von Solms and Paul Coetser were next to take to the air, delivering a flawless display in their Goodyear Pitts Specials. 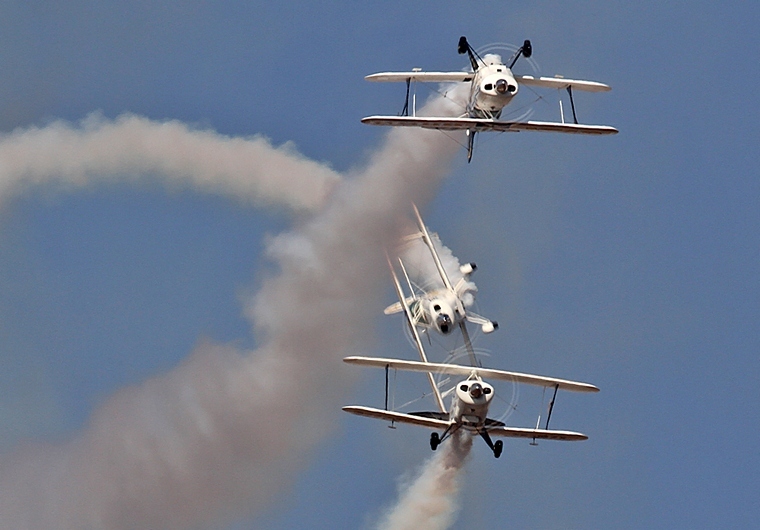 This team have been a fixture at all South African airshows for many years. The relative quiet was shattered by the first of the jets when Pierre Gouws got airborne in the Czechoslovakian L29 Albatross. 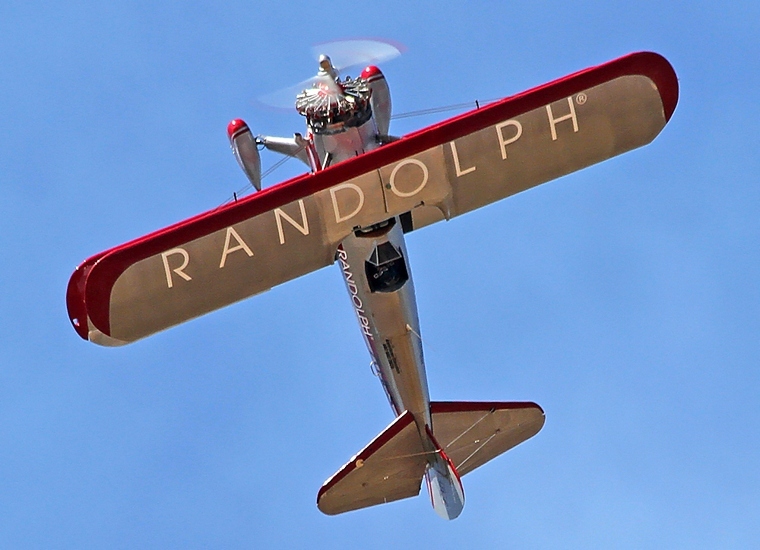 This aircraft belongs to Richard Lovett who is also the organiser of the Middleburg airshow which will take place later this year. 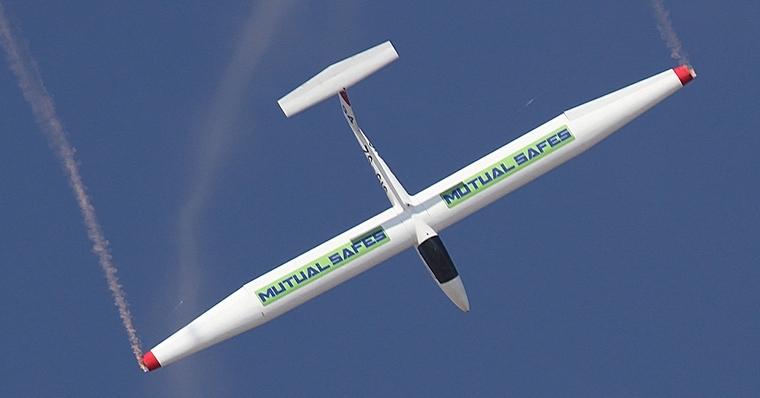 From the rumble of Jet engines to the serenity of a sailplane, Gary Whitecross painted the blue sky with a very impressive display with his Pilatus B4 glider. 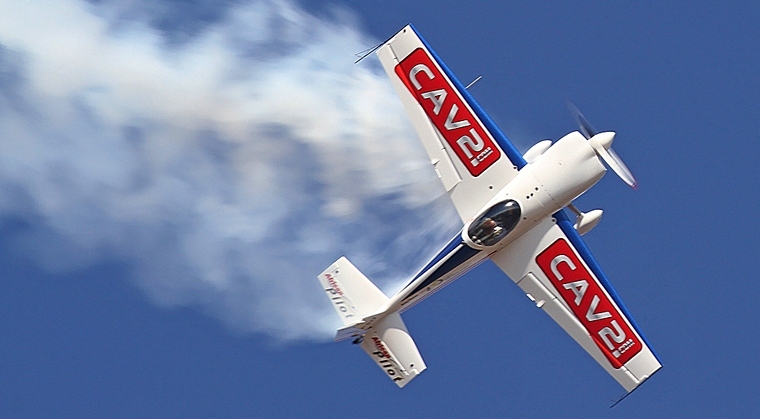 Gary competes against the powered aircraft in aerobatic competitions. Gary is tugged into the big blue by veteran pilot Derek Hopkins in a Lambada touring motor-glider. 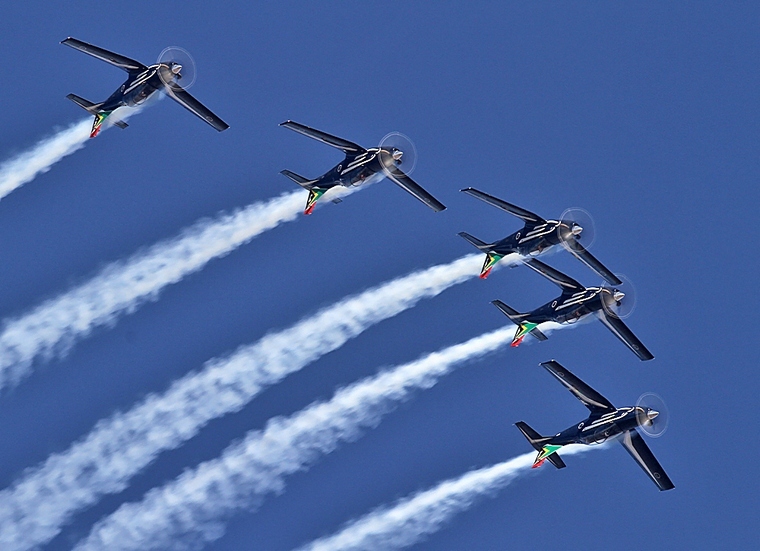 The Silver Falcons, now into their 50th year of existence delivered a very polished display. Newcastle was a very memorable show for one of the members, Maj Bheki Shabangu who became the 106th Silver Falcon, joining Majs Mark Gentles, Sivu Tangana, Wendy Badenhorst and Omphile Mutloane to complete Team 81. 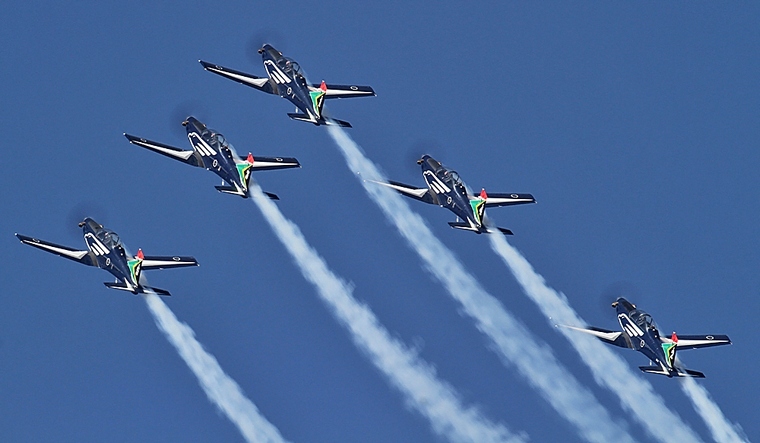 The Raptors Aerobatic team were next on the programme, still flying borrowed aircraft as their steeds are still in transit from China where they recently took part in the World Formation Aerobatics Championships. Pierre Gouws led the formation with Nigel Hopkins and Ryan Beaton on either wing. 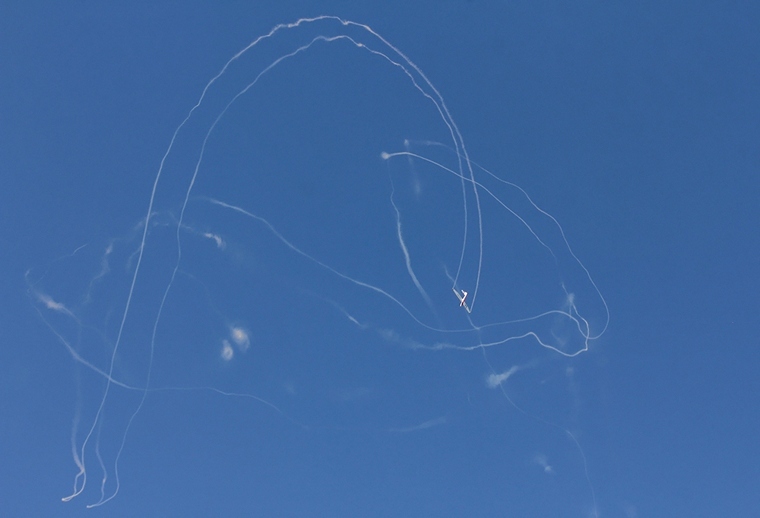 Andrew Blackwood Murry in his Nashua sponsored Extra 300 flew a display that would have brought top points in any aerobatic competition. Andrew had to leave shortly after his display to make his way to OR Tambo to do his day job as an airline captain for SAA. 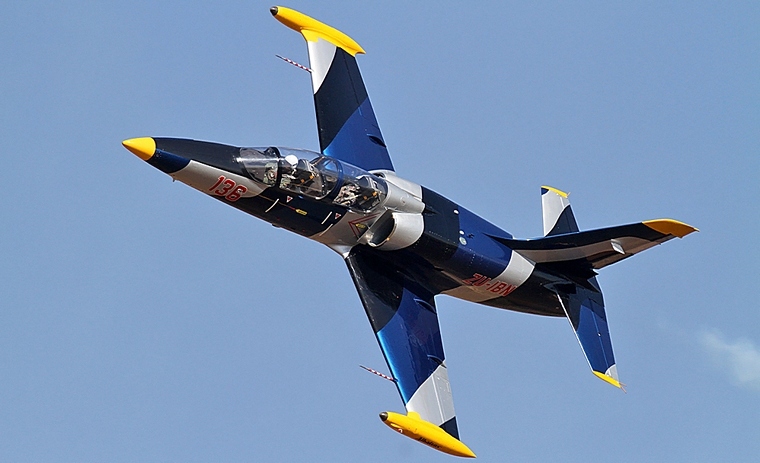 All the jet fans were treated to an awesome East vs West spectacle, Glen Warden in a L29 Delphin and Pierre Gouws in and L39 Albatross represented the East, Mike Wiengartz in an ex SAAF Impala representing the West. What a beautiful sight. Neville Ferreira challenged a Mercedes to a race, Sudesh Singh from Stucky Motors outran Neville, chalking up one for the guys on four wheels. 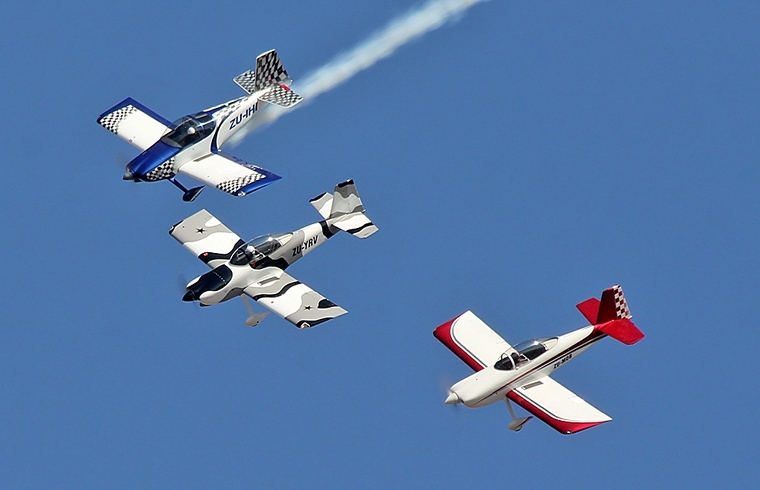 The Silver Falcons planned to close the show but due to the brotherhood in aviation the plans were slightly changed. Ivan van der Schaar experienced trouble with the Stearmans starter when he was supposed to do his scheduled display, fellow aviators came to the rescue and located a starter in Standerton, a fellow pilot quickly jumped in his aircraft and went to fetch it and with the help of The Silver Falcons technical team the Randolph eyewear Stearman was airworthy and managed to close a magnificent show.